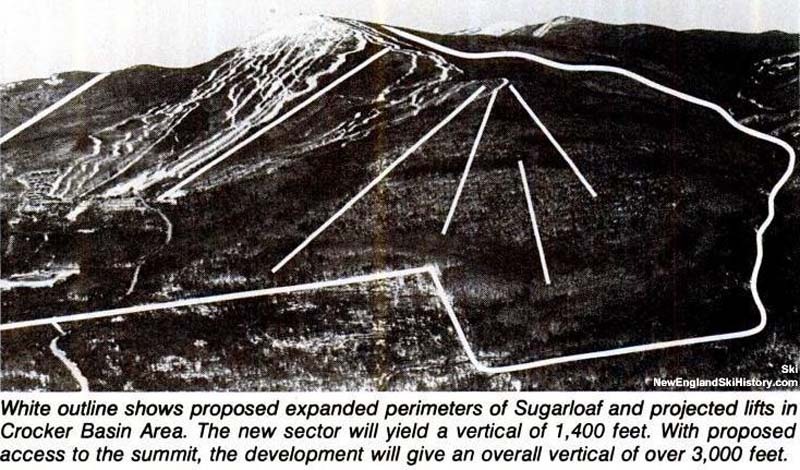 Looking to continue development, Sugarloaf purchased 1,170 acres of land on the western face of the mountain in the late 1970s. 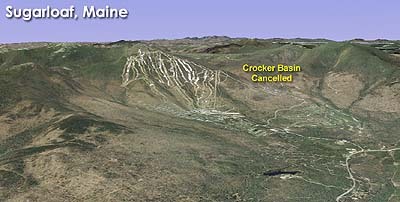 Originally named Crocker Basin, the new complex was expected to have four lifts and a vertical drop of some 1,400 feet. Press accounts in 1979 projected the area to be developed in the early to mid 1980s. While the West Mountain component opened with a double chairlift in 1984, the other terrain was never developed. Will Tenney's lifts spin again?